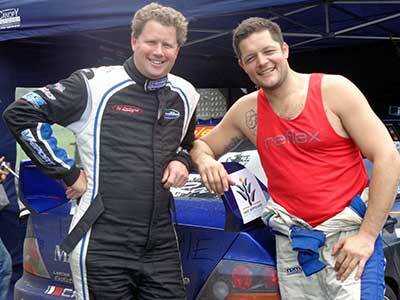 Bernie Webb (left) will be one of the course presenters at the co-driver training. Rally NSW is hosting a free co-driver training day this Sunday, February 3. The session is open to current co-drivers and anyone else who’s interested in taking on one of the most valued roles in the sport. FIRST PRESENTER ANNOUNCED – BERNIE WEBB! Rally NSW is pleased to reveal the first presenter for our upcoming codriver course as Bernie Webb. Bernie is a professional codriver who started out in NSW Clubman events 22 years ago. Bernie has been competing full-time for the past 8 years and is passionate about helping people into the sport that has offered him so many opportunities. If you’re already competing, Bernie will be sharing some of the tips and tricks that have helped him find rides and achieve results over the years. SECOND PRESENTER ANNOUNCED – HARRY BATES! Now a factory driver for Toyota Gazoo Racng Australia, Harry was born in to a motorsport dynasty. With his father (4 times Australian Rally Champion, Neal Bates) introducing him to driving from a very young age, Harry started his driving career as a 12 year old competing in local motorkhanas on both gravel and tarmac. Aged 19, he entered his first rally going on to earn a podium at his second ever outing, the 2014 Narooma Rally. HOW TO REGISTER: Fill in the REGISTRATION FORM to finalise your spot.